Flavoured cheeses are often frowned upon by fromage purists, but this year's winner of the British Cheese Awards proves there are some great examples out there. 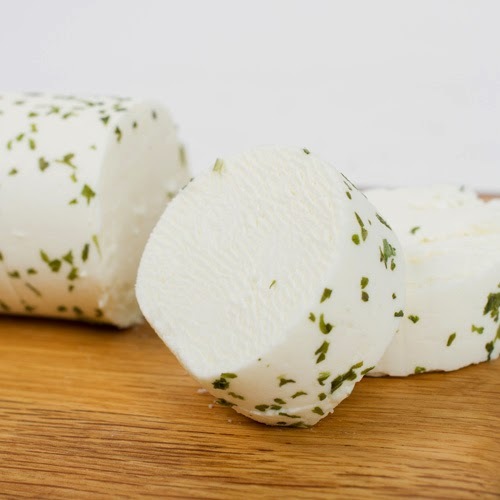 Rosary goat's cheese, flavoured with garlic and herb, was named Supreme Champion at yesterday's awards, which saw more than 1,000 entries from 177 British and Irish cheesemakers. Made by Chris and Clare Moody on the Hampshire and Wiltshire border, the pasteurised cheese is soft, fluffy and speckled with fresh herbs and garlic.It is sold in Waitrose and by delis including Arch House Deli in Bristol and Victoria's Deli in Cambridge. Humming Bark - a Vacherin-style cheese wrapped in a band of spruce from Wexford-based Carrigbyrne Cheese - was named reserve champion, while Cote Hill Lindum from Lincolnshire won the Best New Cheese title. The 2014 British Cheese Awards took place at the Royal Bath and West Show in Somerset, which is also home to the British Cider Championships.